Our blog http://blog.simutrans.com/ gets lots of spams in the comments since it's not required account to post there, until now. We check the comments and approve those that seem legit. Really, there are lots of stupid spams made by stupid spambots which usually make posts that are pretty vague and don't make any sense... others are quite blatant ads. This is the one was posted on "Valley of Mexico"
Appreciate it here, because it' gonna be deleted pretty soon. If approving does not take too much of your time, then it would be good not to set too much barriers for comments. 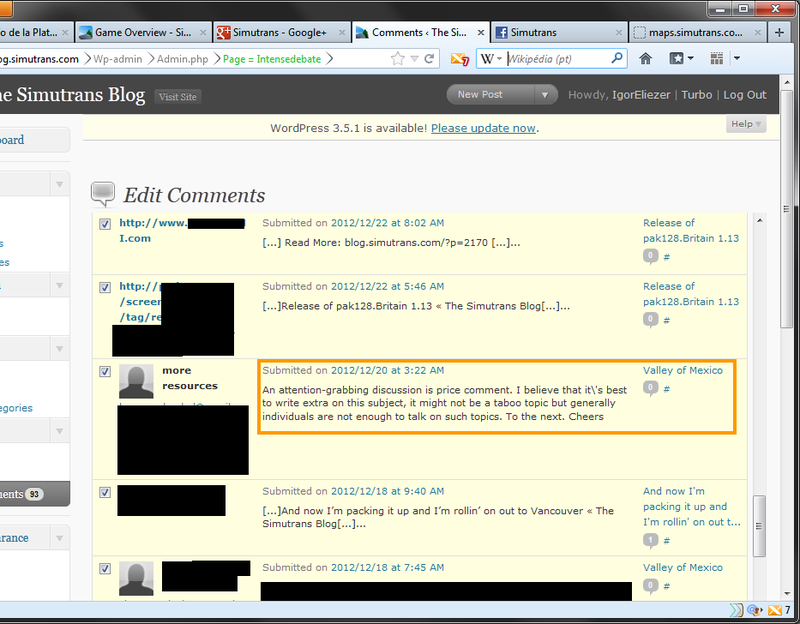 Occasionally there are some useful comments too, like Frazer Fraser river being spelled wrong.